This album is abrasive. The parts that aren’t are just beautiful teasers fending off the next head caving distorted guitar or drumbeat. It was released in 1994; Cobain was king, but grunge was about to disappear, more abruptly than anyone could imagine. The disenfranchised and lonely were about to find their new messiah. The Goths were already on board, and over time this album would become a classic. Trent Reznor recorded it controversially in the house where the Manson family murders took place back in the 60’s, only adding to the mystique. 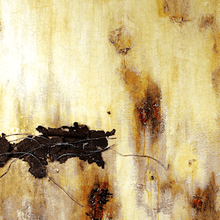 Its an album best played at night, there is nothing sunny about it, dripping of Reznor’s misery and self-loathing. I don’t remember how this made its way into my collection; it just appeared, probably in the late 90’s, I’m usually late to the game. I must admit for the first few years it didn’t grab me and rarely got played, back then I was obsessed by Sepultura and Slayer. NIN seemed a bit, dare I say it ‘avant-garde’, which in retrospect was probably a sign it was a great album and I just didn’t know it. Usually I’ll play an album to death for a few weeks and won’t touch anything else. Then one day I’ll move on and send it back to my collection. The Downward Spiral is different, it will get a rotation every month or so, and I never tire of the songs. There’s a depth here that draws you in, makes you feel connected to a bigger collective. It was a great strength that Joy Division had, before the inevitable. This album shifts between nihilistic brutality and soft piano hushes. The opening song ‘Mr. Self Destruct’; where a single drum beat slowly quickens, the first lyric being “I am the voice inside your head”, its a song that is heavier than anything this band had ever done before. It’s a forewarning of what’s to come. 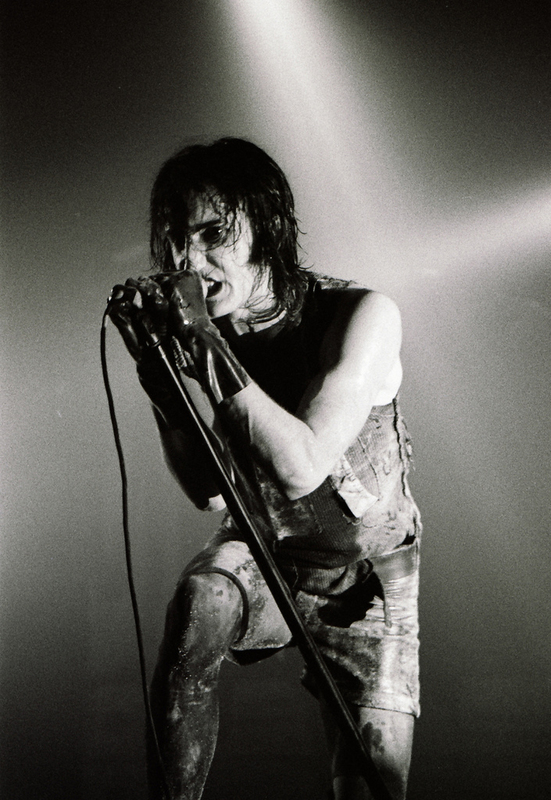 Every track has something to offer, the downbeat tone of ‘Piggy’, ‘Heresy’, one of my favorites, which chugs along at an aggressive pace with Reznor singing “god is dead and no-one cares, if there is a hell I’ll see you there”. Nothing family friendly to see here. It’s an album that’s woven different textures and tones into the songs; it’s a lulling of sorts, you feel the songs are gliding along with downbeat synths and then the hammer drops; explosions of noise descend. Reznor has paced it brilliantly. Its that pacing that has kept me coming back over and over again. Its the drumbeat in “I do not want this” before Reznor screams “don’t you tell me how I feel”, it’s the brilliant building of tension in ‘Eraser’ driven by another great drumbeat, void of lyrics till the very end. It is song after song, bombastic in essence but never feeling forced, done in such a way it feels like death by a thousand cuts, probably its intended purpose. Only adding to the brilliance is the decision that after all the collisions of distortion and depraved lyrics to finish with ‘Hurt’. A touching masterpiece that belies the mainstream inaccessibility of most of the record and cements just how great a songwriter Reznor is. This album brought ‘industrial’ music to the masses; it changed his life forever, catapulting him into stardom, especially after MTV put an edited version of the ‘Closer’ video on heavy rotation. Nine-inch nails wouldn’t release another album for 5 years (The Fragile), with Reznor admitting to writers block. Only adding to the weight he felt after creating such a behemoth. Its debatable weather any NIN record since has come close to ‘The Downward Spiral’. I do know this though, within my collection it is King. 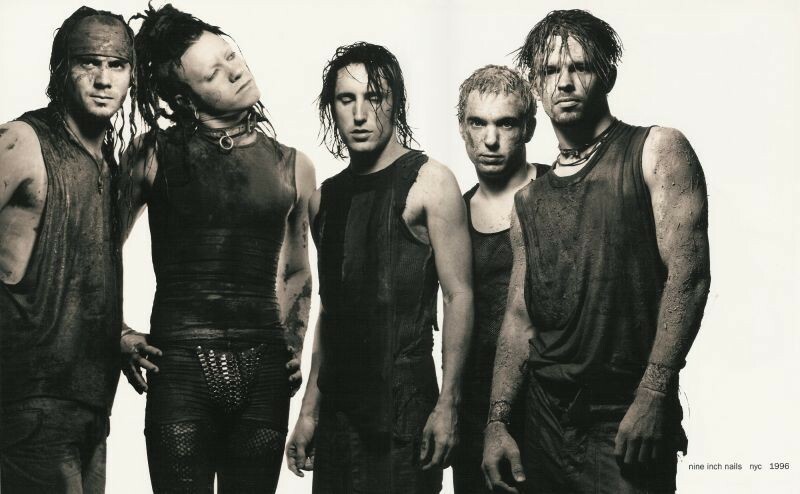 Doing a group homework assignment for Kent State University on Nine Inch Nails. Permission to link to your article? Hi Amanda, yes that is fine.